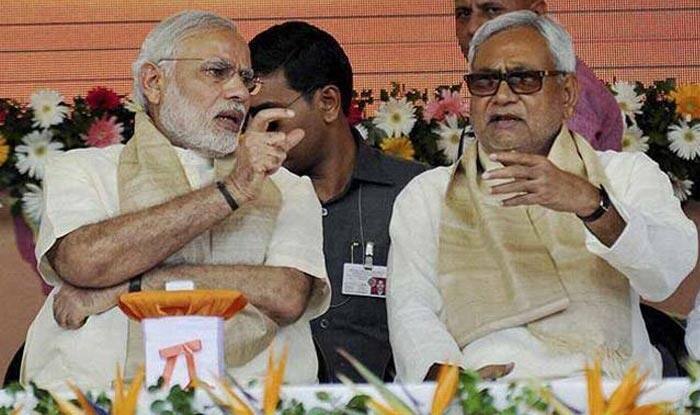 According to reports, both the leaders have agreed to share political dais during the launch of NDA campaign for the upcoming Lok Sabha elections in Bihar. New Delhi: Prime Minister Narendra Modi and Bihar Chief Minister will share the stage at a public meeting in Patna scheduled to held in late February or early March. It will be the first that the two will share the stage during a joint rally. While the two have shared stage at various government and state events, this will be the first time when they will share a political dais after JDU’s realignment with the BJP in July 2017. The mega rally of the NDA is likely to see the participation of Lok Janashakti Party chief Ram Vilas Paswan. While the date is yet to be decided, sources in both the parties said it could be either February 24 or March 3. Following the Gujarat riots in 2002, Nitish had asked its ally BJP to not send Modi to campaign in Bihar. The BJP had complied with the request till as late as 2010. The proposed mega rally, which will see PM Modi’s participation, is seen as BJP’s retort to Congress president Rahul Gandhi’s proposed “Jan Akankasha Rally” in Patna, scheduled on February 3. Times of India, in its report, cited JD(U) national secretary K C Tyagi confirming the participation of PM Modi’s in the rally. “Top leadership of BJP, JD(U) and LJP, including PM Modi, CM Nitish and Union minister Ram Vilas Paswan will address the rally,” he said.